5 / 60 = ~8.33% more energy efficient Mutilate. This is what you want. Glyph of Mutilate vs. Glyph of Cloak of Shadows for Mutilate/Preparation PvP? The other two major glyphs I plan on getting are Sprint and Vigor. Irreplaceable glyph for an form of assassination rogue. If you have this glyph and mutilate send SS back to your spell book. Fun with this glyph on beta: If you have the talent Subterfuge you can actually initiate the fight, spam your Pick-pocket button and you will copy their appearance. This will last 5 minutes as normal. You still cannot mount and it will also fall off when initiating a new fight, but you can redo the same trick. It will of course only work on mobs that actually "have pockets" and can thus be pick-pocketed. Note: This is currently working on the MoP Beta, cannot say if it will be fixed but tbh, it's working as intended. Reduces the cost of Mutilate by 5 Energy. When you Pick Pocket a humanoid enemy, you also copy their appearance for 5 min. Your disguise will unravel upon entering combat. Nothing better than a Giant Lizard twice as tall as the AH terrorising Stormwind. if used on Hagara you also copy her size, did it last night and was good for a laugh or two. Enjoy! Enemies will still attack you. When using this on enemies that are riding a mount you'll not get an additional mount for yourself to ride. My favourite target is the Blight Falconer in Ymirheim, Icecrown. To this day one of my most adored models in the game. Interestingly, when you use the legendary wings on this model they DO show (I noticed most other "big" models I used didn't), but they come out sideways. Also affects the white line behind you when you sprint. My god I'm beautiful *sob*. Not the best glyph - prevents you from mounting due to shapeshift effect, after changes in noggenfogger elixir it's kinda lame. I am quite surprised no one commented on this glyph you guys have to realize it's blizzard joke on identity theft, basically the rogue pickpockets your wallet and steals your identity (Driver's License, Social Security, etc..) when I first saw this I couldn't help but to laugh at the reference. Magnataurs in Dragonblight and Borean Tundra are also great targets for this glyph. They are quite large, so if you really want attention (or maybe lag some people) you can spam Fan of Knives while disguised. As long as you don't enter combat any ability will work. You can use also use http://www.wowhead.com/spell=51713#comments and Vol à la tire during combat. You'll keep the disguise but cannot mount. Tyrande can be pick pocketed (although she is level 90 at the moment), so enjoy parading around as a faction leader while you can. I recommend using shadow walk so the 90 guards dont immediately spot you, and there is a place in the lower level with no guards near the wall so you can hearth out. Then there Cœur-Noir le Séditieux, similar to a giant ogre with two heads! And lastly, it has a lot of fun! Prince-nexus Shaffar the last boss mana-tombs. Hope you enjoy, and give one liked to help me ! (##RESPBREAK##)12##DELIM##Sas148##DELIM##Please do not encapsulate your entire post in \ tags. Thank you. More fun with disguises - if you pickpocket a polymorphed NPC, you turn into the critter! Looks like you don't need Subterfuge to make this work in combat. As long as you make a macro that includes picketpocket and then mutilate ( or whatever you use) you have a pretty good chance of copying and keeping the disguise. Doesn't always work, and I found it confuses the crap out of people in heroics (for some reason almost every boss has pockets.) Mainly the huge mantid in Siege. If you want to look like demon hunter fly to Shadowmoon Valley and pickpocket one of this guys: Netharel Varedis Alandien Theras. Weapon is not copied so you need Glaive de guerre d'Azzinoth Glaive de guerre d'Azzinoth to look authentic. You can use Ai-Li's Skymirror to preserve the illusion and use it in combat for 10 min. Edited: You can also use Reflecting Prism to spread the love. When you phase back to the old Theramore by talking to Zidormi you can look like Lady Jaina Proudmoore, wich has also an unique appearance. There seems to be a problem with the fact that the pickpocketed target is more likely to notice you since they will briefly turn around as the disguise buff is placed on you. If your level is high enough above theirs and you're far enough away, they'll just quickly turn right back around, but if either of those conditions aren't met, the npc will be put on alert status and may engage combat. Great video showing how this glyph in work! I swear I will be SOOOO anrgy with Blizzard if they remove this, but I pickpocketed Thrym at Zul'Drak, hearthed n ran around Dalaran and Orgrimmar, got so many 'lols and wtfs' from people raging. AMAZING LOL! As of 5.2 you can no longer do this on Magmothregar.. but the next best thing with this model is the Magmoth Crushers outside. There are some large orcs at Twilight Ridge in Nagrand. 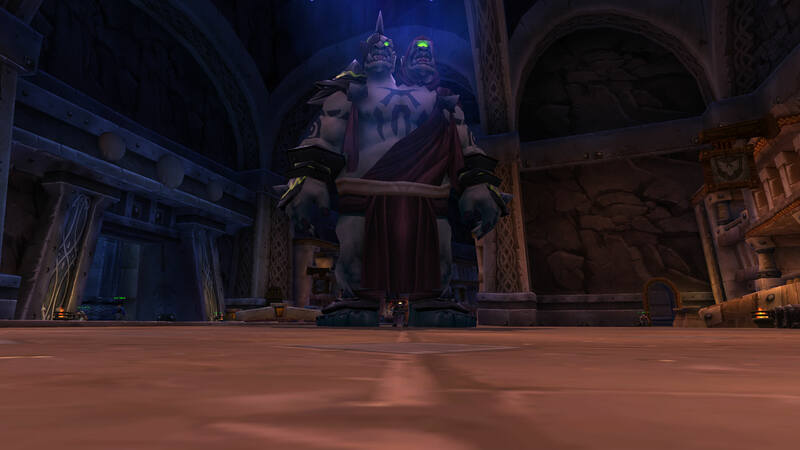 In Kil'Sorrow Fortress in Nagrand, there is an NPC called Giselda la Mégère. If you do enough damage to her she will turn into a Shivarra with a humaniod tag. If you vanish and pick her pockets while she is in that form you will become a Shivarra. Do NOT attempt to copy Mantid appearance if you want to keep sane mind! You will copy both their look and the chirping wing sound they make. While appearance will drop upon entering combat, the sound aura will linger on through fights, reloads, relogs, and changing zones/continents. The only way to get rid of it is by killing yourself. Be warned. I started farming the two mounts in Zul'Gurub. Got the raptor only after a few tries-woot. While there I noticed I could pickpocket Kaulema le Déplaceur and Mor'Lek le Démanteleur. With firewater or other buffs I can get pretty big. This is my new favorite place to pickpocket since Magmothregar is off the table. As an added gimmick I like to use my Angler's Fishing Raft. However big my mocked appearance is, the raft scales to my size. I enjoy going to Thunder Bluff to the little pond in the trading area. With this disguise I can completely cover the pond. It's great fun for 5 minutes. Remember to /pet and /pat your admirers. Cho'war still has pockets and is a good model. Not sure on the trolls because my rogue is not high enough for them. Edit: No reason to downvote this, it's accurate and useful info. Cho'war is a cool model and is still pickpocketable as of 5.4.2. At the rate Blizzard nerfs pockets it's always good to reiterate the fact they still have pockets. turns out you can pickpocket Nascent Val'kyr but not transform into them. I've found this with a few other mobs as well. I pick pocketed Thrym, but, alas, I did not get to be a 20 story tall cyborg. I found out how to keep your Disguise on during a boss fight ( If the boss is Humanoid! ) Simply run into his lair while stealthed, and as soon as the level number near your characters portrait becomes 2 swords ( Which means your in Combat but stealthed ) Then during the boss fight when the tanks fightin and bla bla bla, pickpocket the boss and you should be able to fight him in his own form. Tested and confirmed to work on these example bosses : Brother Korloff at Scarlet Monastery and Armsmaster Harlan in Scarlet Halls. Sadly Koegler has no pickable pockets. I'm not sure if its been pointed out yet but you can also use this glyph on Bonechewer Behemoth in Black Temple(RoS wing), biggest orc possible I believe. For all you alliance rogues, Sylvannas is pickpocket-able. Garrosh, Vol'jin, and Baine are not. Haven't tried lorthemar yet. As of 7.03 (the Legion pre-patch), the glyph must be applied separately to all three specs, even though the spell is shared across all three. In other words, you've got to buy or make three of them. This Rogue glyph, was altered in Legion. This is applied directly to your spell, in your spellbook. Removing a glyph: use Vanishing Powder on the specific spell, this will remove the effect, however, if you want the glyph again, you'll need to rebuy it. Buy the class book from the vendor: Cravitz Lorent , in the Underbelly, in Dalaran. The disguise effect can be made more sticky with Prisme réfléchissant and a cooperating friendly player, making the effect persist through combat. It can be used in roleplaying to portray non-playable races, by first finding an attackable NPC of the desired race and then repeatedly using Reflecting Prism to keep the effect for minutes and possibly hours. That lets you keep the disguise in combat most of the time. Pickpocket the biggest humanoid mob you can find, cast over to Toxic Wasteling with Narcissa's Mirror, let it eat up 3 critters then add Magical Pet biscuit. Try it in Nazmir on XVilescale Monstrosity ! Quand vous utilisez Vol à la tire sur un ennemi humanoïde, vous prenez aussi son apparence pendant 5 min. Votre déguisement tombe quand vous entrez en combat.